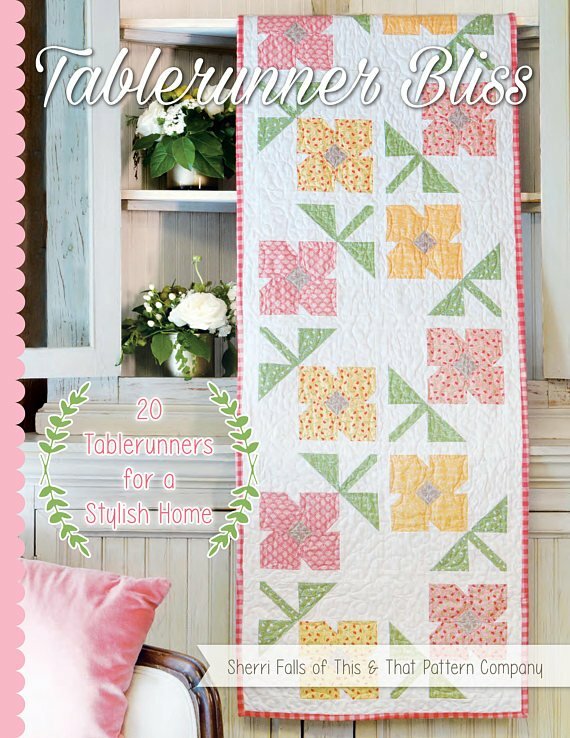 A fabulous tablerunner book by Sherri Falls of This and That patterns. 20 tablerunners for any occasion. Assorted sizes, styles and seasons are represented in these projects. Great for tables, islands, dressers, end of the bed.... the uses are endless. The well written instructions make this book a delight to sew from. Check the images below for kits we have available for use with this book.